On 7-8 February the European Seniors’ Union (ESU) held its Presidium meeting and General Assembly in Brussels. The delegates enjoyed the speeches of MEP Heinz Becker on social policy and of the Belgian Minister of State Mark Eyskens presenting his quirky reflections on today’s ever changing world. 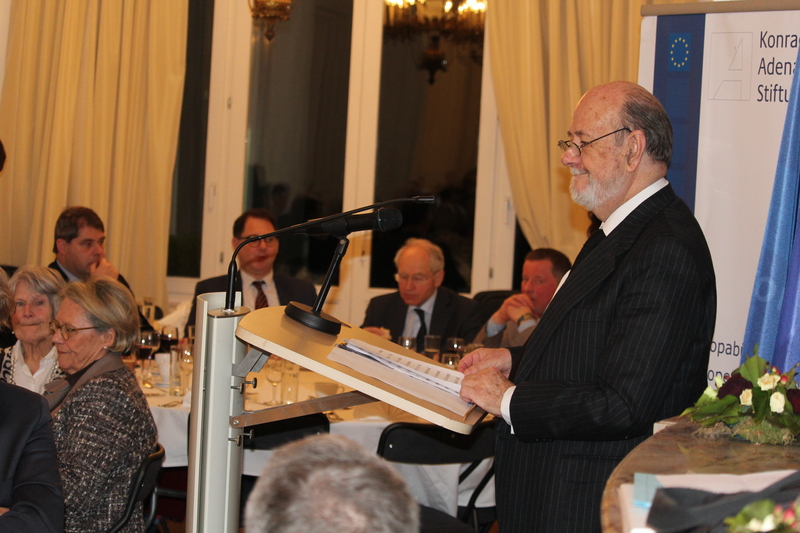 In the evening of 8 February delegates enjoyed the Dinner Debate organized by the European Office of the Konrad Adenauer Foundation (KAS) and the ESU. 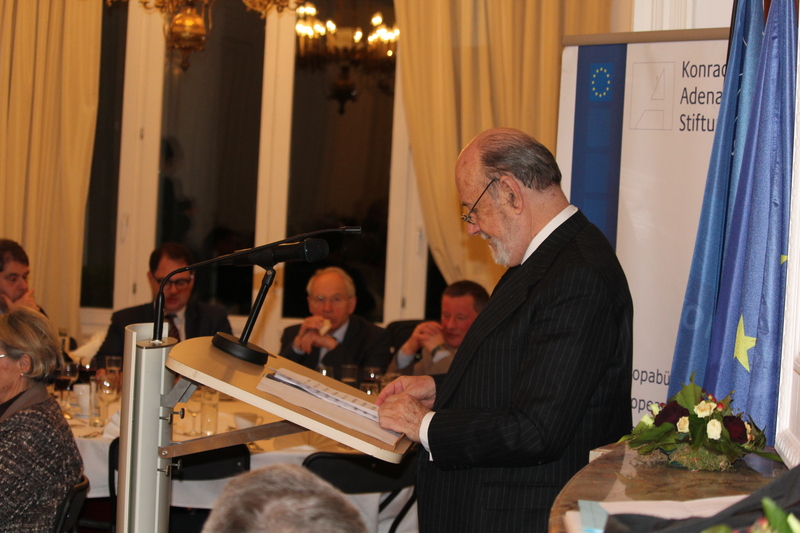 Mr. José Maria Gil-Robles, former President of the European Parliament brought a convincing speech in favor of the Social Market Economy and outlined the current problems in a broad historical context. “Also today we will overcome the difficulties and together in the EPP we play a decisive role in Europe”, said MEP Antonio Lopez, general secretary of the EPP. On 14 October the Senior Citizens Organization of Cyprus and the ESU organised a South Regional Conference in Nicosia around 'Technology & Active Ageing'. On the occasion of the International day of Older Persons on 1 October 2017, the ESU released a message of ESU President Hermans. On 28-30 September 2017, the ESU and the CSU-Seniorenunion organised a regional conference in Munich about 'Security and Trust - the Future of the EU'. From 30 June till 2 July, the ESU held its Summer Acadamy around 'Europe's Future'. The ESU and RSI organized a seminar on the relations between generations and promoting political responsibility of youth and seniors. At the occasion of the EPP Congress in Malta, the ESU organized in cooperation with APAN, a conference on the "Future of Europe". On 11-12 March 2017, the ESU and its Czech member organisation (SKS CR) organised a regional conference in Prague about the 'Quality of Life' of seniors.